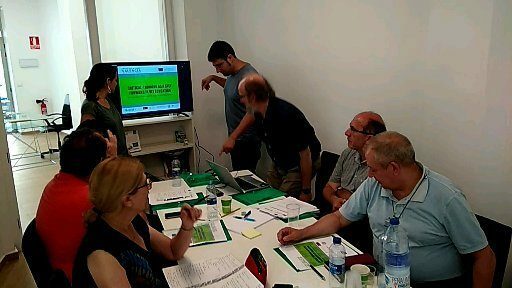 In call of March 2017 in the Educational field of the Program Erasmus Plus, it was granted by the Spanish National Agency – SEPIE the project CRİTİCAL THİNCKİNG AS TO STEP FORWARD İN VET EDUCATİON: VET students immersed in high technology teams. The Vocational Training offers a technical and specialized option, oriented to the successful labour insertion or a reincorporation into labour market. However, although these studies make it possible to continue to higher studies, this is rarely achieved because the methodological gap between the two educative levels. In the case of students with fewer needs these barriers are almost always insurmountable. The aim of the project is to generate high-quality results that allow implementing a high performance internship system abroad for students with difficulties in social inclusion or future employment inclusion coursing half cycles of vocational training in a network of research centers and technology-based companies. Such internship system will significantly promote the participant students’ employability, especially the one of those with fewer opportunities, providing them with experience in a demanding work setting, and improving their curricula. Further, this young people will be encouraged to pursue higher education. These goals are really difficult to attain for students with these kind of barriers. 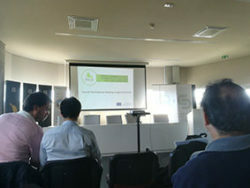 This system will involve a network of cutting-edge research centres, which will employ a very innovative methodology, created within this project, based on collaborative working and on the student’s integration in brand new internships: excellence technological or scientific research group and tech-based enterprises. The project will last 24 months, and four transnational meetings (Spain, Portugal, Greece, Czech Republic) for coordinating the material elaboration and project development. Seven prestigious entities will be the partners: IKASIA TECHNOLOGIES and UNIVERSITAT POLITÈCNICA DE VALÈNCIA from Spain, SOMATICA and UNIVERSIDAD DO MINHO from Portugal, EKATI and TEI of Crete from Greece and CHARLES UNIVERSITY from Czech Republic. Together with them a large network of collaborating entities such as IES ENRIQUE TIERNO GALVÁN, IES POLITÉCNICO DE CARTAGENA, I.E.S. ALMIRANTE BASTARRECHE, CE JUSTE and CONSORZIO INTERAZIENDALE CANAVESANO FOR VOCATIONAL TRAINING AND EMPLOYMENT SERVICES among others. — O1. METHODOLOGICAL GUIDE FOR HIGH TECH CENTERS TO HOST VET STUDENT INTERNSHIPS. A guide targeted to the high technological centers who will host VET students. The result will show them how the students will learn and develop typical functions from the positions within the high technology projects, and at the same time they will develop the critical thinking and the STEM competenes of VET students. — O2. CURRICULAR DEVELOPMENT FOR QUALITY AND INNOVATION IN VET CENTERS THROUGH CROSS-SECTORAL CO-OPERATION. A result targeted to VET Centers who will allow establishing the “critical thinking” as an innovative methodology for VET learning through the collaboration among VET centres, research centres and companies. These educational materials, jointly with a great variety of tangible and structural results, will allow the creation of the TRAINING PROGRAM FOR INTERNSHIPS IN HIGH TECHNOLOGICAL CENTERS, once the project be ended. This program will be an internships program service for VET students (especially for refugees, migrants or at risk of poverty) to make practices in high tech entities. During this internship system, VET students will be included in leading research projects. It will be the culmination of the curricular development proposed in O2 and O1 and will have a great impact on the employability and ability of students. It is expected this project will have a great impact in VET students with fewer opportunities, VET Centres, Universities, Research centres and high tech companies. 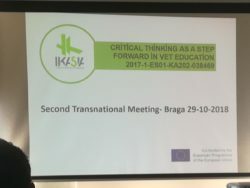 The project’s sustainability will be ensured including more organisations into the network, increasing over time, many of them VET centres which want to extend this project to new students or to new VET field branches. 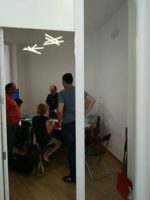 It took place in Valencia (Spain) on July 11 and 12, 2018. In this meeting the topics of preparation, the agreements, the formation of the Committees and the assignment of tasks and responsibilities were discussed. The Preparation Stage was also evaluated. The participants in this meeting were the project coordinators of each participating entity, which allowed us to make easy decisions, to close the latest management and economic agreements in accordance with the approved funding. 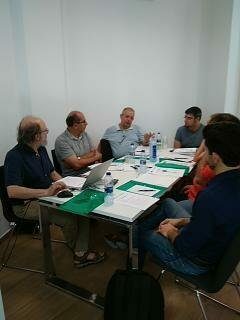 During the first day of the meeting we finalize the two intellectual results and define their contents. 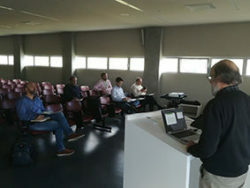 We also show the facilities of IKASIA and those jobs or functions that could be done by the VET students in practice. During the second day of activity we visited the Center for Biomaterials and Tissue Engineering (CBIT) of the Universitat Politècnica València (UPV) where the partners were shown the teams and jobs that the future VET students could play. It was held in Braga (Portugal) in October 2018. 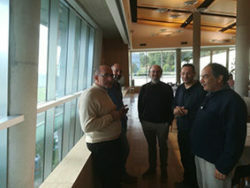 They were held at the SOMATICA HEADQUARTERS in IB-S BUILDING facilities at the Gualtar Campus of the UMINHO University. It has focused on the first intellectual result, the assignment of pending tasks and the supervision of the work created to establish a solid network formed by research centers and companies to which the vocational training centers can turn. Specifically, the METHODOLOGICAL GUIDE FOR HIGH-TECH CENTERS TO SPEAK TO THE VET STUDENT AGREEMENTS was prepared. 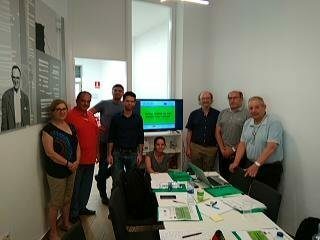 The participants of this meeting were responsible for the project of the research centers and the companies that prepared methodologies, defined the objectives and managed the work of the VET students who will participate in future practices.